I’ve read a lot of books on video game history, and I’ve heard a lot of the same stories told several times. Therefore, rare is the story I haven’t heard yet; and here we have a book — the first of three massive volumes, no less — that is absolutely packed cover-to-cover with things I didn’t know, things I didn’t know that I didn’t know, and things I didn’t even know that I wanted to know, but it turns out I’m really glad I know them now. Bill Kunkel is a name you should probably know. He, along with friends and business partners Arnie Katz and Joyce Worley, were extraordinarily important figures in video game history: They created the very first video game magazine, Electronic Games, in 1981, which covered arcade, home console, and computer video games throughout their Golden Age until the Crash in 1984. Here’s a really unusual book in my videogame library: it’s called Credit 00: I Love Game Graphics, edited by Tsuyoshi Kusano and published by All Rights Reserved in 2003. It’s artsy and weird. I didn’t buy the earlier Zelda book, Hyrule Historia, the English version of which Dark Horse had also published in the US. One of the main reasons that book had originally piqued my interest was because I had hoped it would contain some of the old instruction manual artwork; and it did, but it was reproduced at a very small size. I’ve read lots of books on video game history. Some have been engrossing page-turners and some have been a bit amateurish and bland. 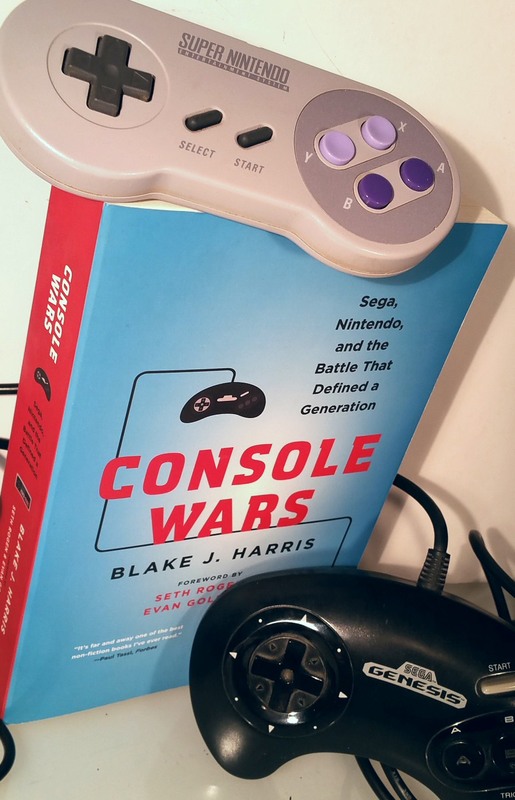 I’ve just finished Console Wars by Blake J. Harris, which I’d heard a lot about recently. The book is a somewhat dramatized account of the marketing battle between Sega and Nintendo in the 16-bit era. I wanted this book before anyone ever said they were making it. For most of my life, I’ve wondered about the artists behind the amazing artwork on the Atari home video game boxes.